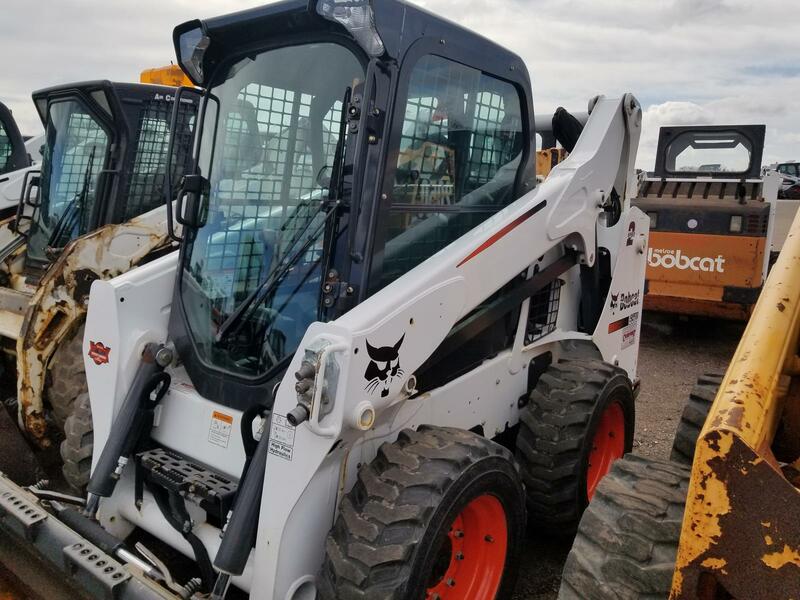 With a rated operating capacity of 1950 lb., the vertical lift Bobcat® S570 skid-steer loader is ideal for clearing high-sided tuck boxes and hoppers or placing pallets loaded with heavy materials. Use the high-flow auxiliary hydraulic option with over 26 gpm of flow for enhanced attachment performance. Heat and Air Conditioning: Because our optional AC units are integrated into the machine, there is no bulky add-on unit to obstruct your visibility. Automotive-style vents allow you to point the air where you need it for greater comfort in all weather conditions. Controls are conveniently located for easy adjustment. 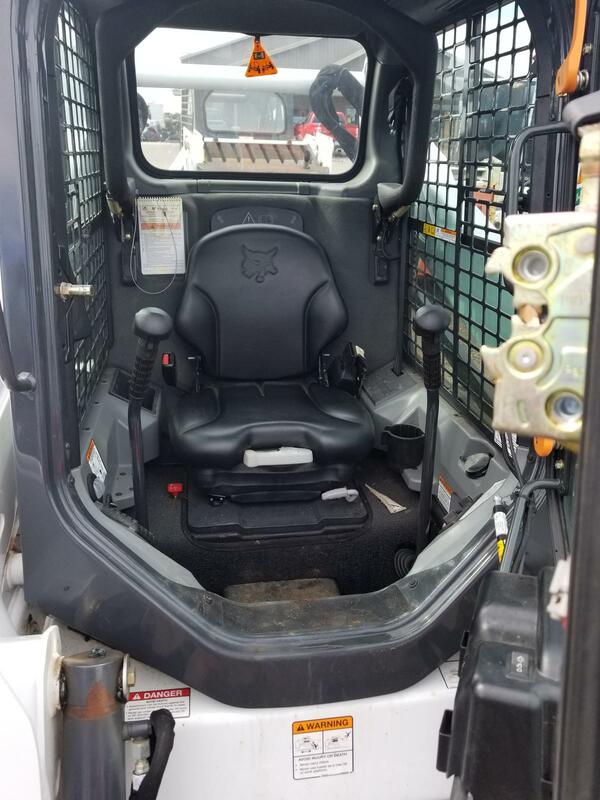 Pressurized Cab: Bobcat loaders with enclosed cabs have a best-in-class, pressurized interior space that helps keep dust to a minimum. A new, one-piece pressure seat engages the entire door on the front and sides, compressing the door seal into a specialized curved door pocket keeping dust and debris out of the cab and keeping warm air in the cab or cool air. Bob-Tach®: Change attachments in less than a minute! 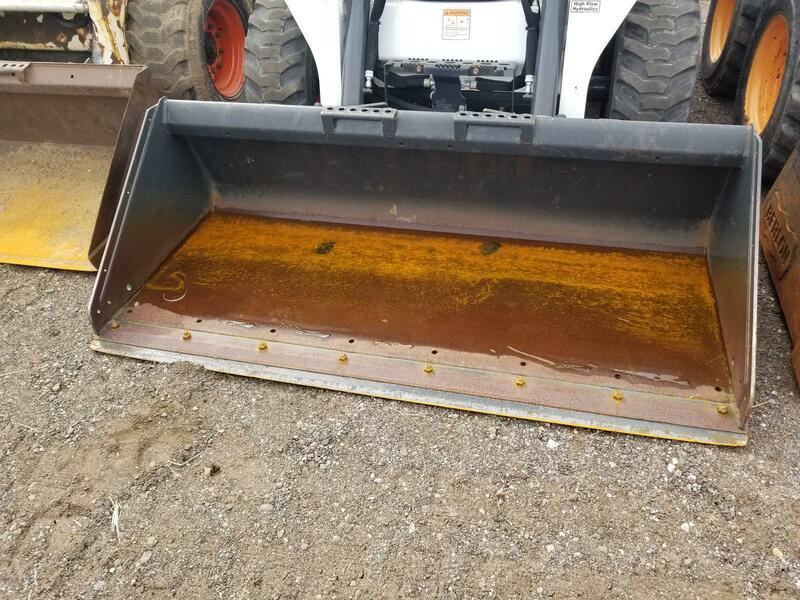 You can replace a bucket with a pallet fork, landscape rake, auger, grapple, and more than 55 Bobcat loader attachments quickly and easily with the Bob-TachBob-Tach® mounting system. Increased Tractive Effort: The new loaders feature increased tractive effort. That means you can push more and dig harder than ever before. Quicker Turning: Bobcat’s weight distribution has been designed for the best turning and skidding to deliver ideal performance, with 70% of distribution in the rear and 30% in the front. This quick turning reduces fuel consumption and power requirements from the engine, increasing the life of the drive train and tires. Stronger Hydraulics: Hydraulic systems have been re-engineered to maximize performance – working faster and stronger to increase operator performance. 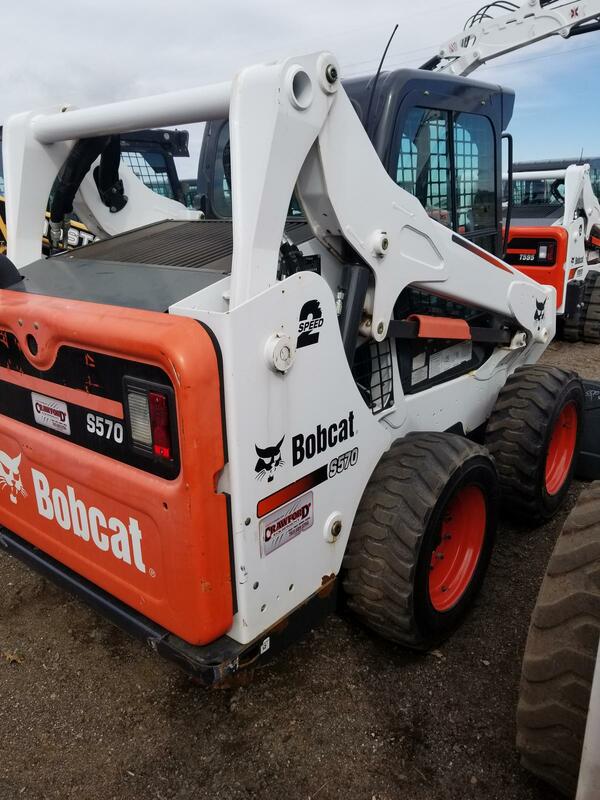 The Bobcat engine, hydraulic pump, horsepower and cubic-inch displacement are configured precisely for each model’s specific operating capacity. Transverse Engine/Belt Drive: Thanks to the Bobcat belt-drive system, loader engines can run slower, resulting in a quieter machine that lasts longer. This drive belt system allows Bobcat loaders to use an optimized engine-to-pump package, making it more efficient. Two-Speed (optional): Boost top travel speed by more than 50 percent and reduce the time it takes to travel across a jobsite or between jobs. "Endless" Drive Chains: #80 pre-stressed, high strength drive chains contain no master links. Maintenance-Free Chaincase: The rugged Bobcat chaincase is the only maintenance-free chaincase in the industry with exclusive fixed axle tubes, stronger axles, fully sealed bearings, no adjustments are required, ever. 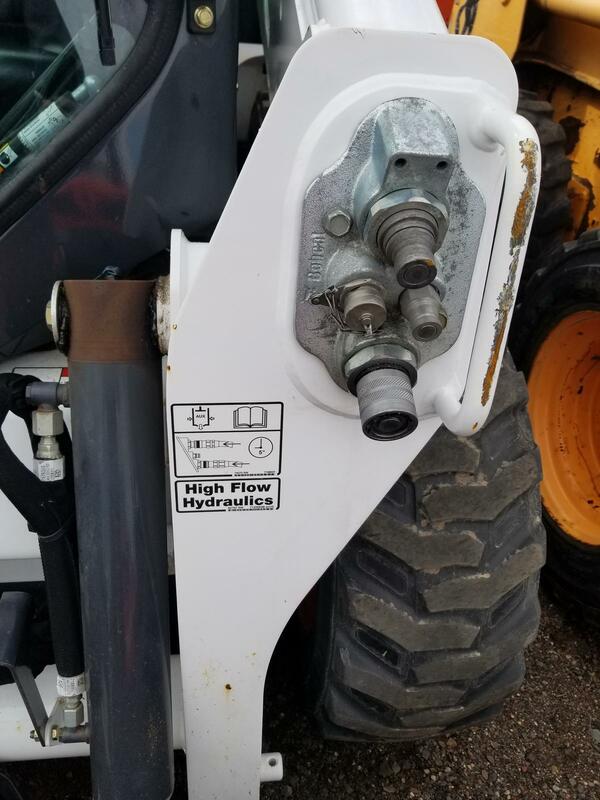 Protected Quick Couplers: The integrated, pressure-release quick couplers are mounted directly into the front plate of the lift arm –with no exposed hoses to damage. Your couplers are protected even further with a guard that extends out beyond the coupler. 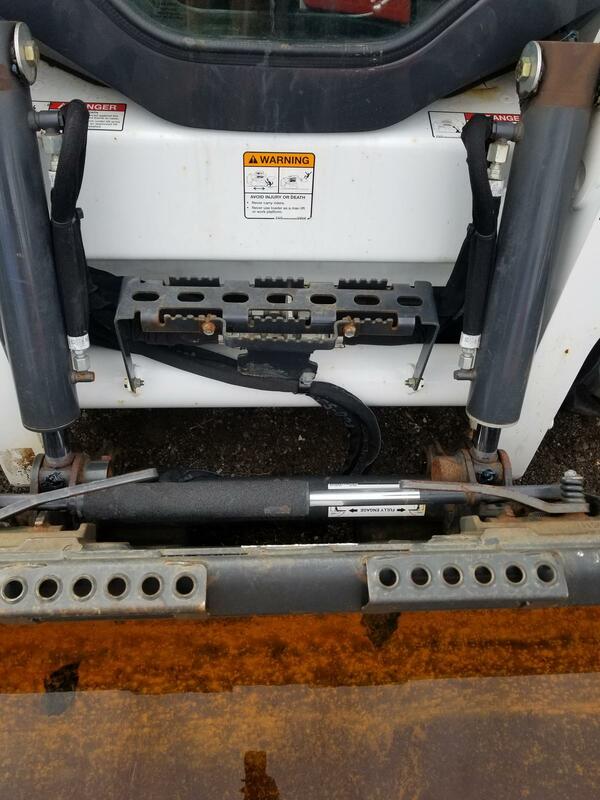 Removable Hose Guide: Provides better auxiliary hose routing and security; slide the guide onto your hydraulic hose and clip it on the machine before operation. Clip the hose onto the attachment frame when it isn’t in use. 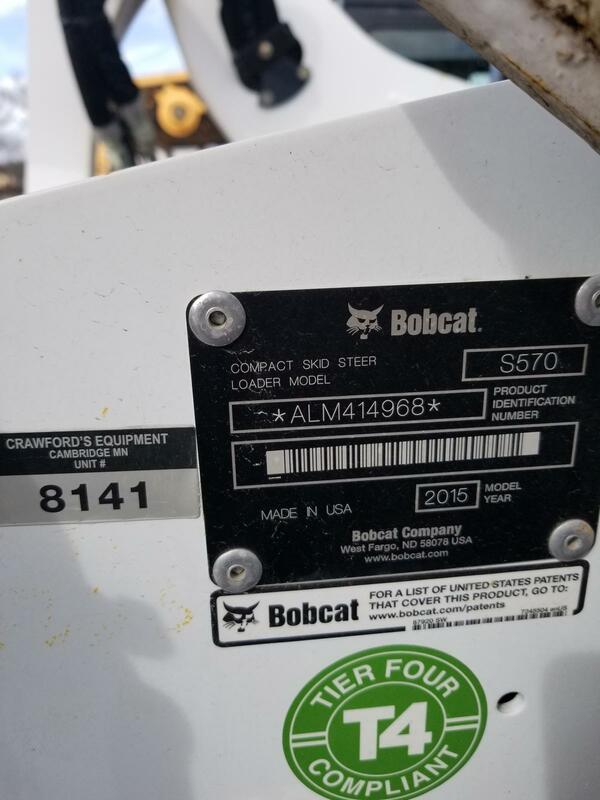 Transverse Engine/ Superior serviceability: Bobcat loaders are designed for fastest and easiest servicing in the industry. Every single daily maintenance item such as engine fluid check, filters, battery, air cleaner and other components are out in the open when you open the thick tailgate. Rated Operating Capacity (SAE): 1950 lb. Length without Attachment: 104.6 in. Length with Standard Bucket: 133 in. Width (with bucket): 68 in. Height with Operator Cab: 77.8 in. Height to Bucket Hinge Pin: 119 in. Reach @ Maximum Height: 32.6 in.